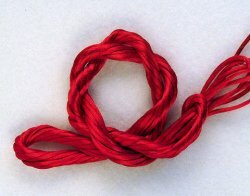 Red satin cord in #0 petite weight, with the ripe richness of brilliant currants. 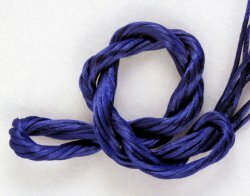 Royal blue satin cord in #0 petite weight, as cool as mature blueberries. 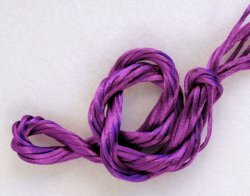 Purple satin cord in #0 petite weight, with the lightness of frosty grapes.